Try the best Austrian Style bread in town. It is illegal to die in London’s Houses of Parliament. That’s right, could you please refrain from dying until you have exited the building? VAIL IS EPIC SUMMER AND WINTER!!! "Loegerhuettn" in Hinterstoder, die leiwandste! Summer and Winter. 1. Wehe du tuast des Foto auf'n Blog! 2. Erich erklaert schon wieder die Welt! 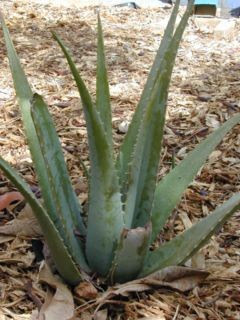 Aloe Vera: Aloe Vera a semi-tropical plant which looks more like a cactus and a member of the lily family which usually grows in the African continent. The aloe plant contains various substances which are beneficial to your health and includes amino acids, minerals, vitamins (A, B1, B2, B6, B12, C and E) and enzymes. It has been used for medicinal purposes around the world for more than 3500 years. Some benefits: Aloe Vera drink provides relief to the people suffering from some impair digestion and stomach problems occurred due to smoking cigarettes, drinking coffee, poor eating habits and due to stress. Bitter gourd: Juice of bitter - gourd is a remedy par excellence for Diabetes. A glassful juice of fresh bitter - gourd will bring down sugar content enhances digestion, it also removes constipation, helps purify blood tissue and stimulates the liver. It contains vitamin A, B1, B2, C and also minerals like calcium, phosphorous, iron, copper and potassium. Caution: Do not drink or eat bitter gourd if you are pregnant or nursing! 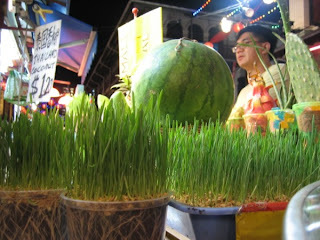 THE Nectar of the Gods!The ultimate blood purifier, Wheat Grass Juice is the closest thing there is to blood itself! My favorite: Ice blended Thai coconut (contains juice, flesh and honey) a very delicious thirst-quenching drink. 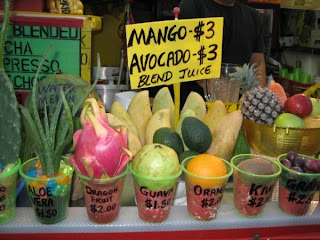 Honestly after so many healthy drinks: I wouldn't mind a dash of Bacardi with it! Or ..............you can order a different kind of very nutritious drinks from the coffee-shop nearby Erich’s, to go with the delicious sausages: Erdinger or Tiger Beer! 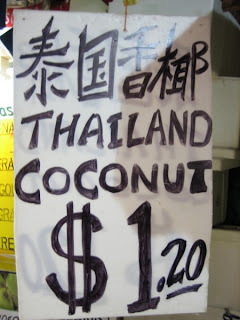 This blog is about real life stories, happenings, gossip, ramblings and events at the Wuerstelstand, the Chinatown Night Market, Singapore and the rest of the world. Besides Erich's ventures we also want to introduce Singapore as a beautiful and interesting tourist spot and a great place to live and work. Many tourists or expats who have been here are now our frequent blog visitors to check what they miss out since they left. Feel free to participate in our Wuerstelstand community. Send us ideas for new posts or photos. Comments can be posted below each post. Recommendations, suggestions, feedback? Write to franknfurter9@gmail.com. Would love to hear from you! ! ! 300 BLOG VISITORS ! !